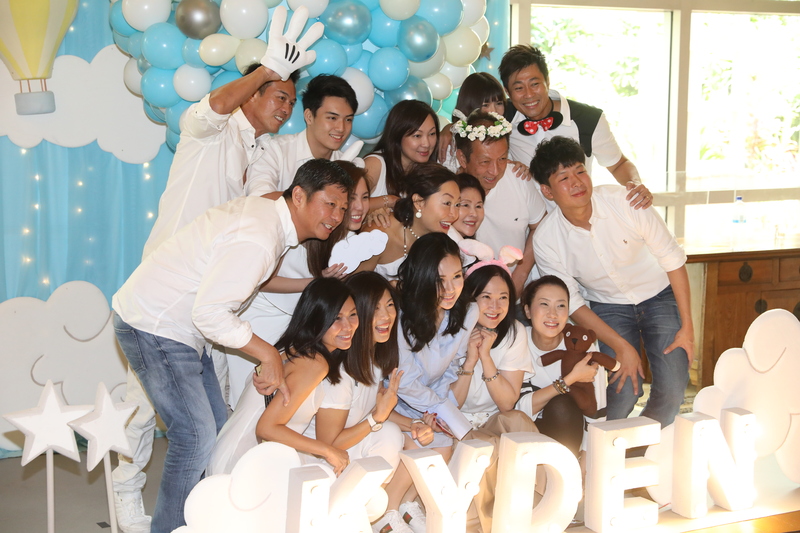 Want to see the official pictures from cutie Kyden Kho’s 99th-day birthday bash? 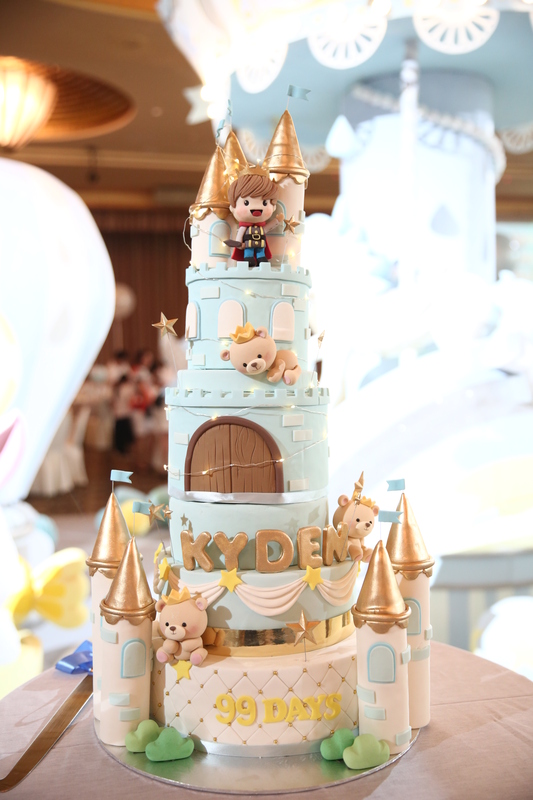 We’ve just received them, and we’re totally in love! 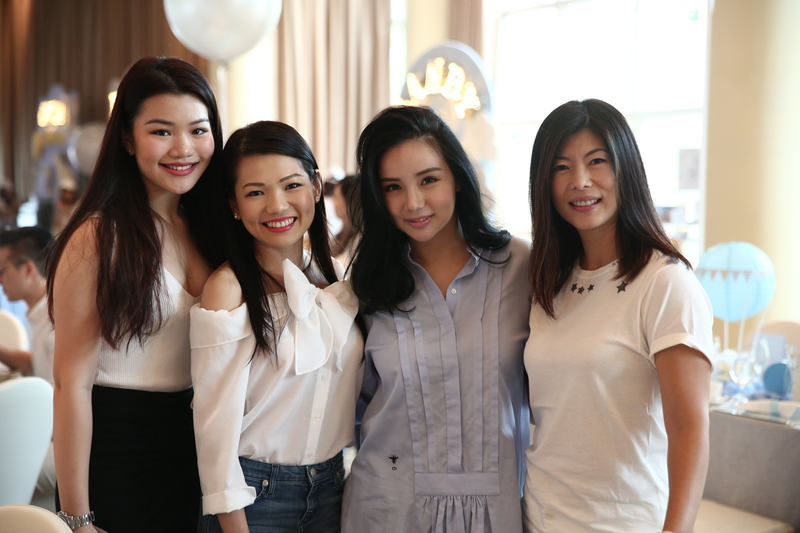 Held about one month ago, the party, in true Kim Lim style, exuded understated elegance and was attended by more than 200 guests. 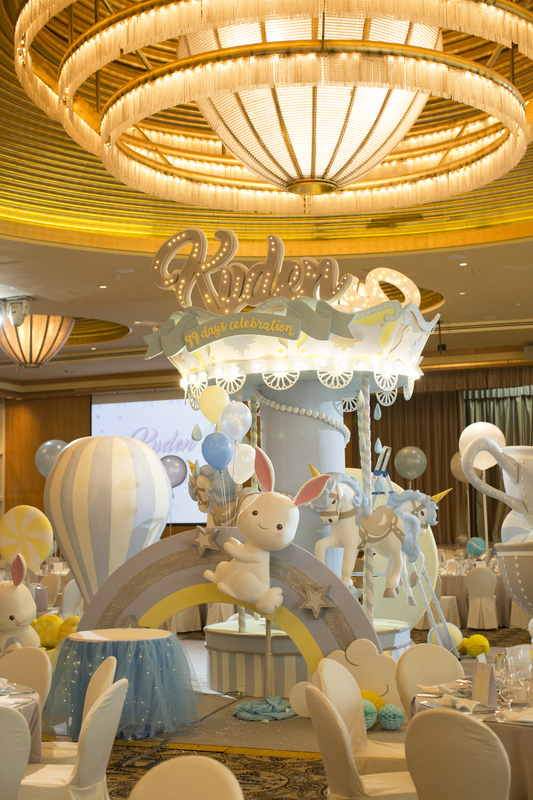 The newly minted mum and baby-daddy BK Kho had chosen a funfair-themed setting and had the entire ballroom at the Ritz-Carlton, Millenia Singapore decorated accordingly. 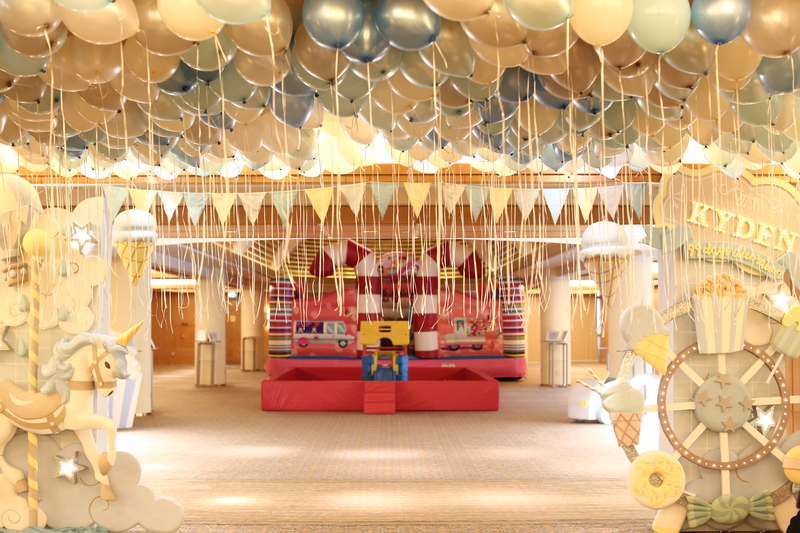 Apart from a giant, colourful merry-go-round built in the centre of the space, the hosts also arranged for carnival-esque game booths, where guests could earn coupons to claim prizes, as well as a large ball pit for tiny tots and a photo booth for all to enjoy. 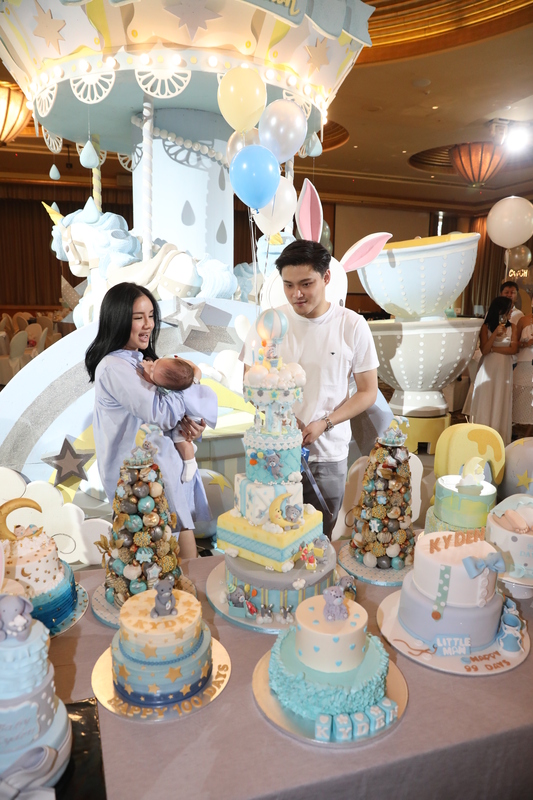 Guests included personalities from the media industry who provided a little impromptu entertainment when they broke into a little song and dance midway during the party. 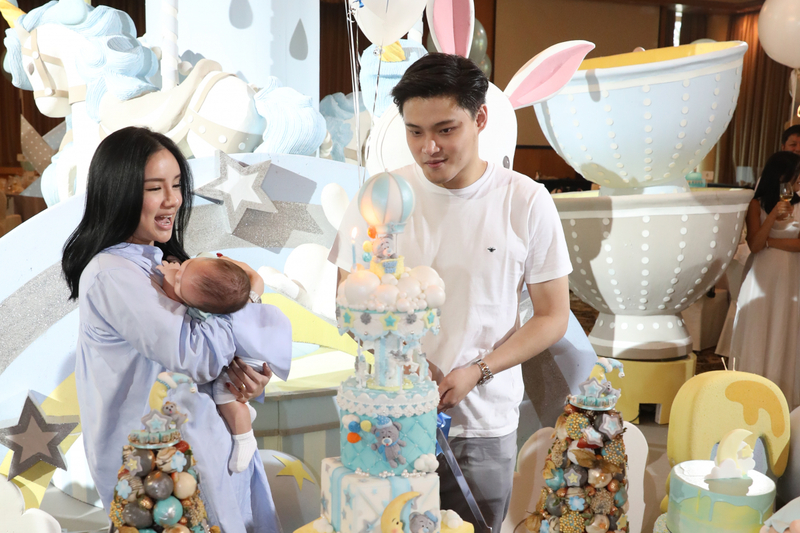 The true highlight, however, was of course when the star of the party, baby Kyden, made his rounds to greet guests in the arms of his proud granddad, billionaire Peter Lim. 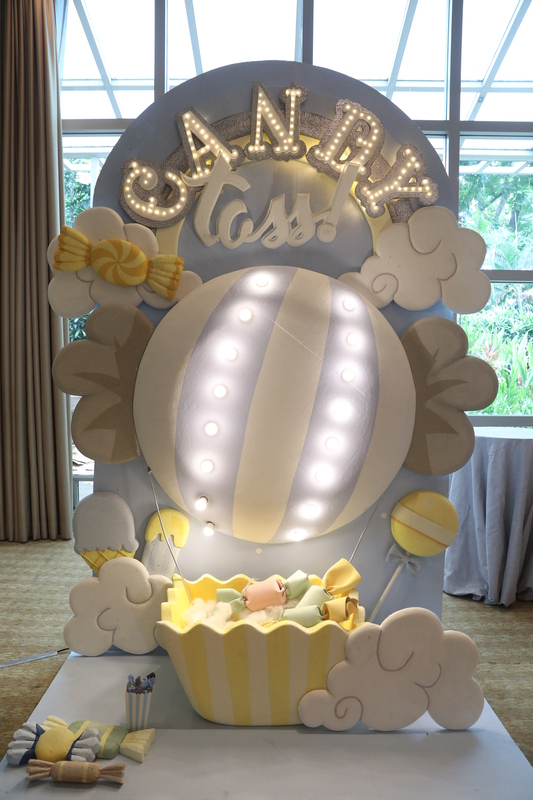 While Kim Lim posted plenty of photos from the party on her Instagram that showed a table overflowing with multiple-tiered birthday cakes; a bunny-cart of sweets; and a ballroom laden with balloons, we have pictures of the itsy bitsy details that made this party truly worthy of a precious baby boy. 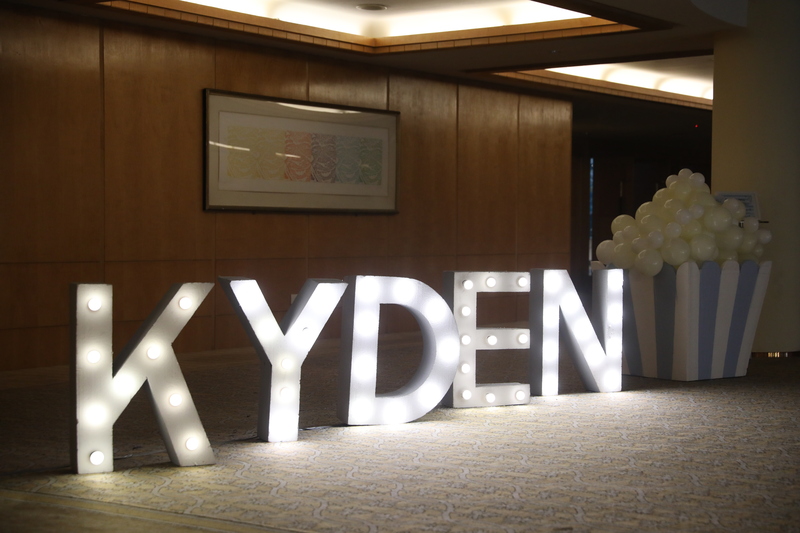 Kim Lim gave birth to Kyden at Thomson Medical Centre earlier in July, where his birth made headlines when the newborn and family were visited by international football magastar Cristiano Ronaldo. 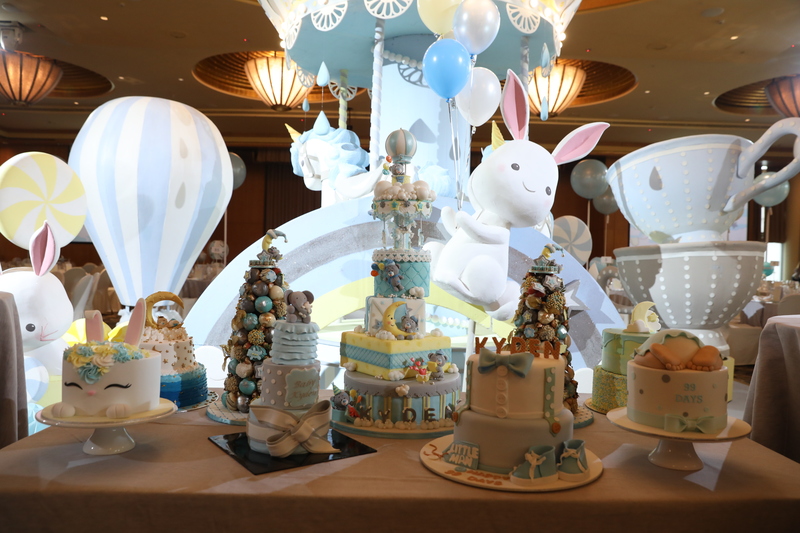 For more from the dreamy celebratory event, click on the images below.